Champion Tails White Cover Creme is the ultimate product for whitening Socks, Blazes, stars and Stockings on your horse. 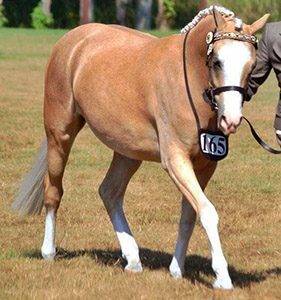 If your horse has no white on their head and looks a bit plain, you can even use the White Cover Creme to create white markings. Best to make a stencil so it is the same each time. For sparkling white socks, please clip your horses socks then wash with Champion Tails Restore Silver Shampoo, when the socks are damp apply the Champion Tails White Cover Creme to your socks. Can be done to protect your socks or stockings the night before you show and just top up in the morning if needed. 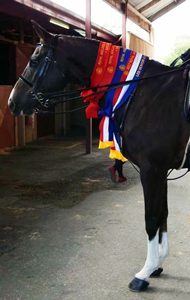 Easy to apply: Best applied to clipped socks, wash your horses socks with Champion Tails Silver Stain Remover if really dirty, or Champion Tails Restore Silver Shampoo, rinse and while the socks are still damp use a damp sponge and apply the White Cover Creme the night before the show and top up in the morning if needed.